I have been practicing yoga on and off for 10 years and just started up again with a small class once a week. I wanted to supplement my class practices at home with something I could do daily. I have used other yoga apps before but they were ‘meh’. I like this one as you have a real person narrating, you can see them in the poses and you have a music selection. You can do a full on hour long practice or a quick 10-20 minute one. You can do beginner or advanced (I am beginner/intermediate). I have done about 4 practices so far with this app. The only thing I would caution folks about is to be sure you are doing things correctly. I cannot stress enough the helpfulness of a real class with a real teacher to tell you when you are not in a pose correctly, or maybe alternate forms of the pose if you have neck, shoulder, hip, whatever issues. This statement is not for just this app but for anyone who wants to start yoga and think it is a good idea to do it via app only without instruction. You can hurt yourself. Instruction also helps you improve your yoga ability. One awesome thing that could be added is a meditation ‘set’ here. Say at the end of a short stretching yoga practice, spend say about 5-10 minutes with a guided meditation. Something to think about but in no way detracts from this app. Maybe it is here already and I have not found it yet. I know there are separate apps for this. Namaste! I'm astounded. 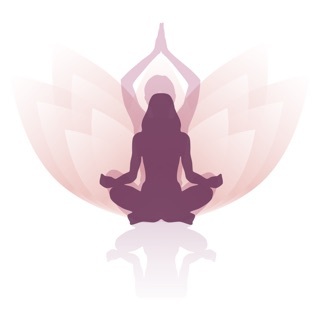 They got it all right with this app, and it's hard for for me to find the patience for yoga. The process and the way I feel afterward is amazing, and I never feel patronized, pseudo-spiritual, or like I'm trying to be a soccer mom. From the language used in the narration, the soothing yet energizing voice, the musical selections (and option for no music) the quality of the images.. I'm just really happy with Down Dog. Evidently there are in app purchases, but I probably wouldn't have realized that if it wasn't indicated on the app description. It's not in-your-face at all - I'm going to have to go back and search for them. And I will, because the quality of the free product is so amazing. Maybe I sound like I'm gushing- it's just that I have never had the patience for yoga before. It was one of those things I thought I maybe "should" do. I have used this app 5 times in 7 days, and always feel amazing afterwards. UPDATE: it's over a year later, and I'm still using and loving Down Dog. I also paid for the upgrade, mostly because I wanted to support them so much, but it also unlocked some great features. I am impressed with how the app has evolved and how responsive the team is. Even when life is at its most chaotic, I can fit their 10 minute sessions in every night before I go to sleep, and longer sessions during the day whenever I can. Thank you, Down Dog! I started off with this app a little over a year ago when I wanted to start meditating and centering my mind due to anxiety. I didn’t want to go to yoga classes because they are very expensive and I was afraid of looking dumb and inflexible. I practiced each day for at least 10 min for about 3 months, I then saw a deal on Groupon for some classes at a local yoga studio and I bought it. After the first class the teacher came up to me and said they were happy to see a new face and that they hoped they see me again. They asked me if I had been practicing long and I informed them that I had been practicing for about three months, they then asked WHAT STUDIO I WENT TOO!? Hahah they were surprised when I said it was a app. Down dog! I recommend this app to all my friends and family who want to start their yoga journey. I had their free version on my phone for about 8 months, I now have the paid version because I trusted the app and was willing to pay a small price compared to what i would pay at a yoga studio each month. I was prepared to deepen my practice, and I knew this app would help. Now here I am a year and a half later, loving this app still (using this for a majority of my practice) and anxious to be attending a yoga institute in July 2018 to become a yoga teacher! I love yoga and I Love this app. I cannot stress that enough!